Functional decline is the loss of our physical and mental abilities. If functional decline is a result of aging or age-related problems (as it most often is), then it's referred to as "age-related functional decline." Vision problems such as macular degeneration, trouble reading, cataracts, and glaucoma. Hearing problems like loss of hearing and tinnitus. Memory and brain problems, including changes in mental fitness or dementia. Weakness in bones like osteopenia and osteoporosis. This is just a short list of all the things that might change in a person's body due to aging that could lead to functional decline. You can give yourself your best chance of the least amount of functional decline through focusing on a healthy lifestyle. Age-related functional decline can be subtle — you might need reading glasses for the first time, for example, or be diagnosed with osteopenia. However, it also can speed up suddenly and leave an older person unable to drive, live alone, or take care of the basics of daily life (like bathing, dressing, going to the bathroom and eating). Up to 8% of people over age 65 living in the community — that's nearly one in every eight senior citizens — needs help with one or more of these basic daily tasks. For the very elderly (those who are age 85 and older), some 56% of women and 38% of men need help at home or live in a facility where they receive daily help. Chronic illness can lead to gradual functional decline, but functional decline can occur swiftly when elderly people are hospitalized. 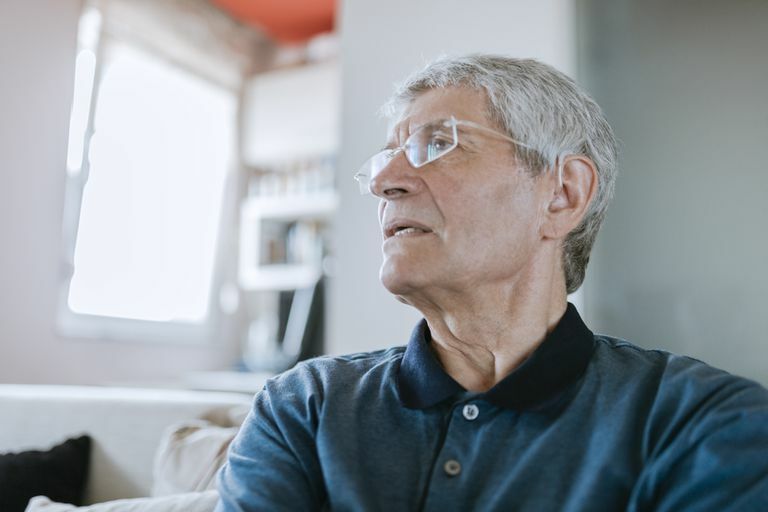 In fact, in one study of a group of patients ages 74 and older who were hospitalized, researchers were able to detect functional decline by the second day of their hospital stays. The study recommended that clinicians take steps to reduce functional decline in older, hospitalized patients. It's possible to prevent functional decline, but it likely will take some work, and it may not succeed in every case. For example, one group of frail elderly people 75 years or older participated in a six-month study to see if improving their physical abilities — such as their balance, muscle strength, ability to transfer from one position to another, and mobility — could prevent or slow their functional decline. The study, which included home-based physical therapy and other education and counseling, succeeded in slowing decline among those who were moderately frail, but not among those who were severely frail. Fewer people from the group receiving the therapy entered a nursing home compared to a group that didn't receive the physical therapy and other interventions, but the difference between the two groups wasn't statistically significant. The key to this may be acting sooner to stop the slide into functional decline. One study, for example, found that the most important factors associated with functional decline were the number of days the person took off from regular activities (more days off is worse), the number of hot meals per day (fewer hot meals per day is worse), and cognitive status. Also, people who believed their health was worse than it had been the previous year were significantly less likely to improve their function. Meanwhile, weight loss and living alone seemed to protect against functional decline. What can you do to prevent functional decline? This advice likely will sound familiar: eat a healthy diet, exercise regularly, manage any chronic diseases you might have, and stay active generally. Gill TM et al. A program to prevent functional decline in physically frail, elderly persons who live at home. The New England Journal of Medicine. 2002 Oct 3;347(14):1068-74. Hébert R et al. Factors associated with functional decline and improvement in a very elderly community-dwelling population. American Journal of Epidemiology. 1999 Sep 1;150(5):501-10. Hirsch CH et al. The natural history of functional morbidity in hospitalized older patients. Journal of the American Geriatrics Society. 1990 Dec;38(12):1296-303. Kleinpell RM et al. (2008) Patient Safety and Quality: An Evidence-Based Handbook for Nurses, Chapter 11: Reducing Functional Decline in Hospitalized Elderly. Rockville, MD: Agency for Healthcare Research and Quality.